Cancer HealthCare Associates uses only the most advanced technologies and treatments to provide our patients with the best care possible. Our facilities are designed to help our patients feel comfortable, relaxed and right at home while receiving superior care. As part of our commitment to excellence, we use unique treatment protocols, including advanced beam alignment and shielding techniques, which help minimize the radiation doses to the nearby lung and heart tissues. All our patients receive computerized treatment planning to help ensure successful outcomes. Cancer HealthCare Associates is proud to announce our new Oncology Center in Miami Shores that will be opening December 2012. 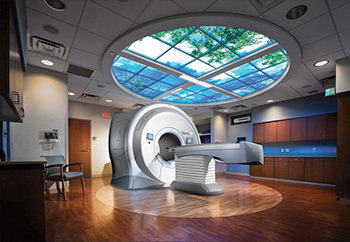 Our new center will be equipped with our current brachytherapy services along with an Accuray Tomotherapy Unit Hi-Art HD, the most advanced form of image guided IMRT. The new Cancer HealthCare Associates Oncology Center provides patients with advanced treatment in a comfortable, state-of-the-art facility. At Avenutra Hospital, we have both oncology and urology teams on staff and an oncology facility at Memorial Regional Hospital South. Our Aventura offices offer personalized care from an expert team of physicans. The oncology team located here includes Dr. Martin Keisch, Dr. Daniel Weingrad and Dr. Enrique Davila. Our urology team has offices in both Aventura and Hollywood. The team includes urologists Dr. Jay Kim, Dr. Giridhar Talluri and Dr. Maurice Strahlberg. Cancer HealthCare Associates is proud to announce the opening of our state-of-the-art Oncology Center in Miami Shores. Our new 8200 sq. ft. location houses a full serice radiation treatment facility with TomoTherapy HD linear accerator, Brachytherapy, Lymphedema Massage and a Hologic Bone Densitometry System. The only facility of its kind in South Florida, we are also the only local cancer center offering the latest TomoTherapy radiation treatment. The Miami Brachytherapy Center has been moved to the new facility from the University of Miami. The site offers convenient free parking in front of the building.